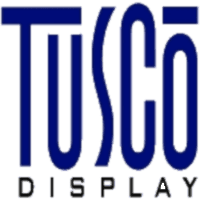 Why Does ISO Certification Matter for a Custom Display Manufacturer? ISO 9001:2015 with Design registration isn’t common in the point-of-purchase industry. So if very few have it, then why bother? At Tusco, we value creativity within a well-structured process. This registration exemplifies a commitment to not only our clients, but ourselves as manufacturers. ISO registered companies must clearly establish their goals and processes across their business. For us, that means looking both within and beyond the workshop walls. We have instructions outlined for various processes in sales, engineering and machining. This establishes a clarity of process for our clients from initial conversations to in-store execution of the product. It is important for manufacturers to maintain transparency. They want to know what they are getting and how they will get it. This means defining specifications, building prototypes and rolling into full production. ISO-registered manufacturers know who is responsible as the project moves from concept to creation. For some industries, like automotive and aerospace, working with an ISO registered manufacturer is essential. It’s a sign of competence and an international standard. For us and for our clients, it’s a bonus. It shows that we take our work seriously and produce our custom retail displays to high quality standards. Brands and retailers can trust us to be there at every step and be confident in us as a partner in POP.